Co-owner and Content Manager of Addictech.com and Addictech Records, Hypnotech has direct access to the leading artists and labels in upfront international underground electronic music. Focusing on booty warping bass heavy dancefloor transmissions, dedication to cultivating the finest in electronic music is obvious in every set. Becoming a fixture in the underground San Francisco circuit in 2000 and expanding from there to an international stage, Hypnotech has played an endless amount of festivals, clubs, and underground renegades with his hi fidelity sound. 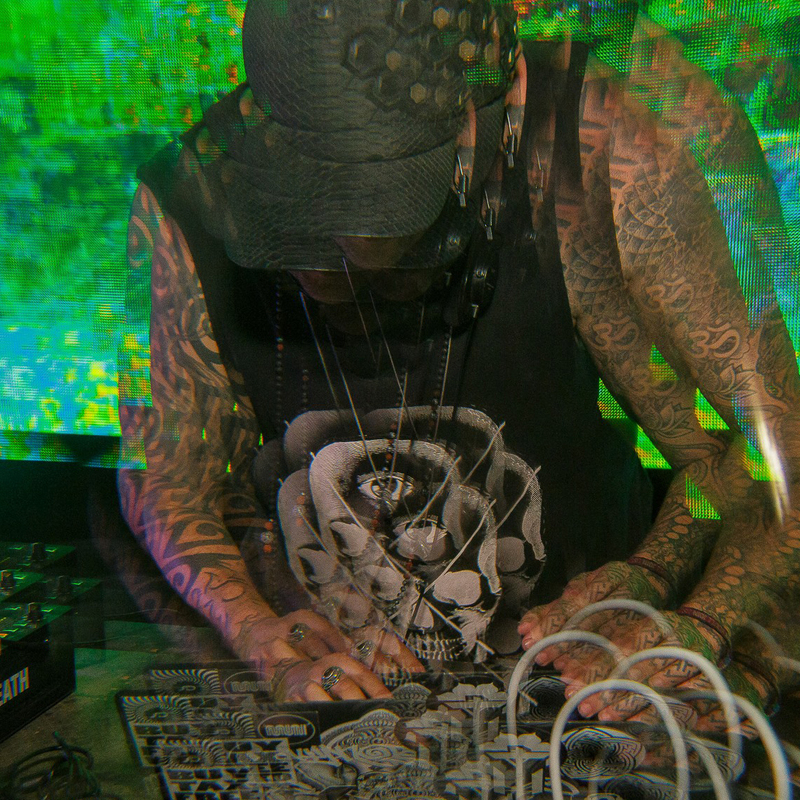 Specializing in outdoor festivals with a psychedelic edge, his commitment to presenting underground future music to a global audience is notorious, from peak time insanity to ambient of of body experiences, providing a shamanic vessel of soudsystem culture. In 2003 Addictech.com launched as the premier source for tweaked out electronic vinyl. Specializing in breakbeat, dubstep, electro, hip hop, and IDM, Addictech.com lead the charge in filling record bags of DJs all over the world with the glitched out, heavy sounds from the international underground. 2006 issued a new era of music distribution to the world, and Addictech moved forward by adding their digital download service to the site. Taking the initial inspiration of those sounds to the digital market, Addictech continues to forge the path of future music by supporting the labels and artists with direct relationships and exclusive content, exposing the freshest labels to the world and providing an unrivaled marketplace of the purest quality electronic music.